31 Oct 2018 --- Dairy innovation experts, Epi Ingredients is tackling the challenges of preserving fresh milk in markets where supply can be limited. The company has launched a high-protein yogurt concept that has been produced using high-quality ultra-filtered dairy powders, cultures and water. Fueled by growing health awareness and rising numbers of overweight and obese people, the Middle Eastern dairy industry is experiencing rapid expansion. 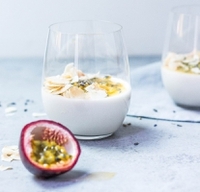 Consumer demand is increasing as more people consider dairy consumption to be healthy, supportive of an active lifestyle with added protein or to boost digestive health with fermented dairy products. Middle Eastern consumers seek added value in the products they choose. However, the harsh local environmental conditions in some Middle Eastern markets can hinder increases in milk production and pose a challenge when it comes to preserving fresh milk or refrigerated products, according to Epi Ingredients, a subsidiary of the French company Laïta. “For several years now, Epi Ingredients has been working on developing solutions able to address these concerns while meeting consumers’ expectations, even in markets where the fresh milk supply may be limited, or where preserving the integrity of fresh raw milk can be challenging”, explains Mathieu Lucot, Marketing Manager at Epi Ingredients. boost digestive health with fermented dairy products. “This is why, this year at Gulfood Manufacturing, we are proud to be presenting our latest finished product concept, SoBenefik, a high-protein yogurt produced exclusively using high-quality ultra-filtered dairy powders, cultures and water,” he adds. SoBenefik is a protein-packed yogurt containing 8 percent protein, live cultures and a rich, extra-creamy texture while being low-fat. Epi Ingredients say this is possible with the use of Epiprot 60 UL, a native milk protein concentrate produced directly from fresh milk through an ultra-low heat process allowing for minimal denaturation and optimal functional and nutritional properties. Not only does SoBenefik address local consumers’ new concerns for health & wellness but it is also adapted to local constraints thanks to being formulated with powders only, thereby reducing logistical hurdles. Beyond high-protein yogurt, Epiprot 60 UL is easy to use and can be incorporated into a wide range of applications such as cheese, other types of yogurt, quark, beverages, nutritional products and more. Thanks to its unique manufacturing processing, it offers superior gelling, emulsifying and water retention capabilities, a nutritional profile high in native calcium as well as the unique ability to provide enhanced creaminess and a rich mouthfeel in low-fat, high-protein applications. The development of SoBenefik follows the success last year of Epi Ingredients’ first ever finish product concept, SoFlexi. Designed to illustrate the unique features of Epi Ingredients’ offering, these finish product concepts were never intended to be sold as such and were developed only to drive innovation by helping food, beverage and nutrition manufacturers visualize what they can do with the company’s ingredients. “SoFlexi will also be featured at Gulfood Manufacturing 2018 as its shelf-stable format is perfectly adapted to the Middle Eastern market,” adds Lucot. It is a powdered mix that allows consumers to create fresh yogurt-tasting snacks containing live cultures in seconds. SoFlexi combines convenience and versatility while offering the nutritional properties of a traditional yogurt without the downside of being perishable, thus catering to modern consumers who are always pressed for time and seeking “on-the-go” snacks that combine indulgence and nutritional balance. 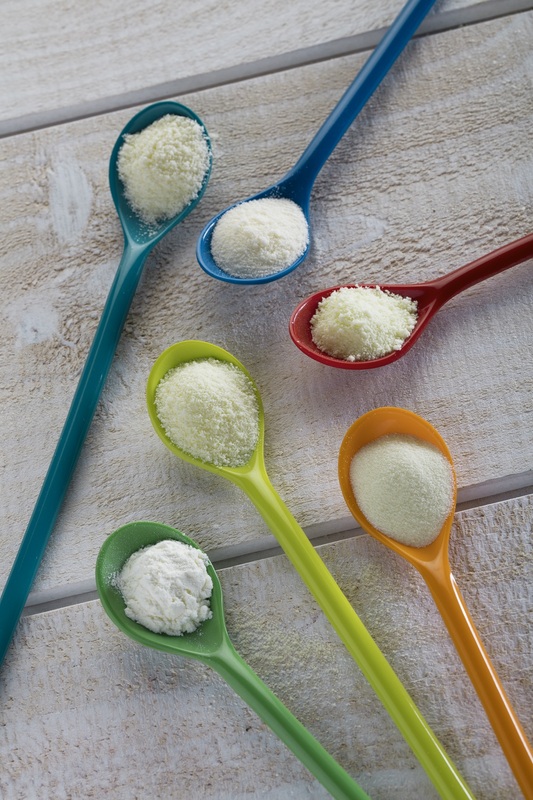 SoFlexi, which features one of the company’s EPILAC premium fermented powders, is also a way for Epi Ingredients to remind visitors of its expertise in the field of fermented powders. The company can be able to dry blends of milk and live cultures, keeping them alive throughout the process and into the finished powder, thus possibly contributing to balancing the gut flora and strengthening the immune system, health benefits sought after by Middle Eastern consumers. Dairy Middle East Epi Ingredients Yoghurt Cheese Milk Cultures Powder Protein Laïta.